Carnival Vista is the latest ship to join the Carnival fleet and offers cruises to various destinations throughout the Mediterranean. 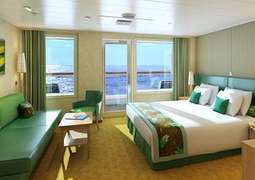 Где сейчас корабль Carnival Vista ? On board Carnival Vista guests have the opportunity to experience the great outdoors while simultaneously enjoying the luxuries of a Carnival cruise. Experience cycling at new heights with SkyRide, a suspended bicycle course, offering fantastic views. 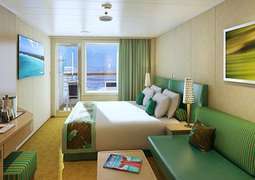 There is also an extensive youth programme available, in addition to a new class of stateroom. In staying with the outdoor element of Carnival Vista, there are a number of outdoor dining options available. In partnership with celebrity chef Guy Fieri, Guy’s Burger Joint and Guy’s Pig & Anchor Smokehouse offers delicious food straight from the grill, served with his range of signature sauces. The Havana Bar & Pool also offers a taste of Cuba with Cuban coffee and authentic cocktails, as well as music and dancing by night. Carnival Vista also plays host to its very own brewery, offering guests the opportunity to sample some craft beers made on board at the RedFrog Pub. 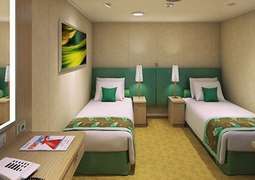 Carnival Vista promises to leave passengers wanting to experience even more of the great outdoors. 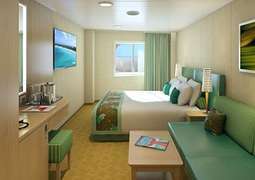 When it comes to fun and comfort, Carnival Vista staterooms go the extra square foot. Step into a Havana Cabana suite and you’ll find a luxurious rain shower inside, plus a lounge-ready hammock outside. The Family Harbor suite is perfect with passengers with children providing a concierge service, Hasbro board games and video games, all with a unique nautical decor. From the whirlpool bathtub in the suites to the your own personal veranda to enjoy the mesmerising locations you cruise to in the balcony cabins, you are sure to find the perfect place to stay for you. Carnival Vista has new and popular dining options to satisfy your inner foodie’s palate. All tastes are catered for on board, from Italian cuisine in Cucina del Capitano to Asian dishes in Ji Ji Asian Kitchen and Bonsai Sushi. Resaurants like Fahrenheit 555 Steakhouse provides great food with a superb atmosphere, while Guy's Burger Joint is the perfect place to enjoy a signature burger designed by celebrity chef Guy Fieri. In the Horizons Restaurant, you can enjoy a new and suprising dish with friends in a friendly and fresh atmosphere. On board the Carnival Vista you will find the perfect way to keep yourself entertained, with ample appurtunity to relax, have fun and socialise. The Havana Bar & Pool is an ideal location to enjoy some classic Cuban classics by the pool and the Redfrog Pub & Brewery offers beers freshly brewed only feet from your table in an setting that provides live music, games and more. For a more relaxed way to enjoy your cruise the Serenity Adult-Only Retreat is the go-to place to strech out and enjoy the sights as they pass by in an idyllic setting. If you want to catch a show the IMAX is on board letting you catch a film and the variety of live shows from stage shows to comedy shows are sure to keep you entertained. SportSquare on Carnival Vista makes not only winning — but even simply playing — fun. For active fun the SportSquare has all the activities you need, with suspended rope courses, Sky Ride and an outdoor fitness area. To refresh yourself the Cloud 9 Spa is the place to go, with a thermal suite and a variety of treatments such as massages, facials, body wraps and more. For the fitness fanatic the range of fitness equipment and classes on board will help keep your heart pumping. SkyFitness is a perfect example of this, providing a gym at the top of the ship, allowing you to work out with a beautiful view.